I belong to a family of strong women; none of the women in my immediate family are less than doctors and I have ample experience to believe that women prove, quite often, better than the men in some regards. He was grossly underestimating the effect women have had on the universe; for there’s a lot more to women than just the imparting of colours. Pakistani women have always been beacons of hope and struggle and have been leaving their marks in every field; on national and international grounds. Among all the other lies media feeds the world about Pakistan, our women being incessantly confined to their houses is one raging stereotype. I belong to a family of strong women; none of the women in my immediate family are less than doctors and I have ample experience to believe that women prove, quite often, better than men in certain regards. 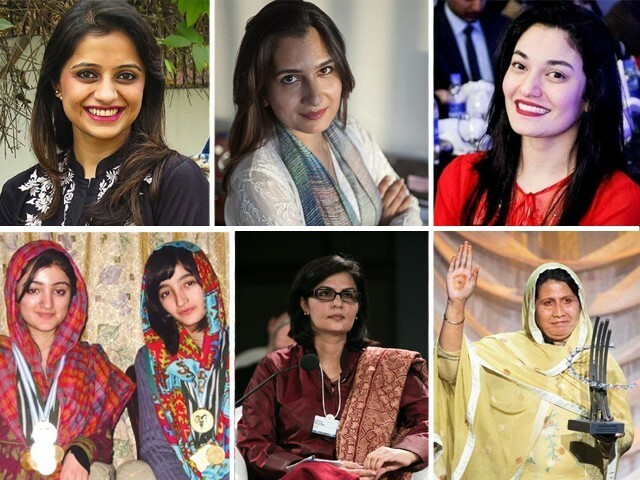 And while there’s a new wave of lunacy sweeping across our TV screens, where the religious clerics are bashing women to merry abandon, it’s only fitting to run a reminder on some Pakistani women who have made the country proud. For all the discouragement and hindrances, our women have managed to outdo the odds every time and glow victoriously. At the World Economic Forum last month, entrepreneur Fiza Farhan surprised everyone by being appointed a member on the panel of United Nations (UN) Secretary-General on Women’s Economic Empowerment. 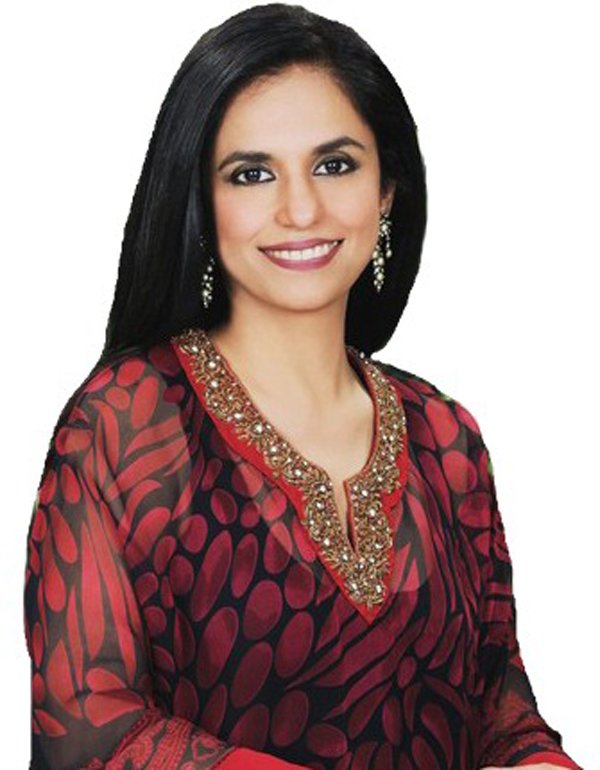 The panel concerns itself with improving economic outcomes for women and promoting their participation in the economy and trusts Fiza Farhan to know something about this – since she herself co-founded Buksh Foundation in 2009 and serves as the Chief Executive Officer of the same, as well as the Director of Buksh Energy. 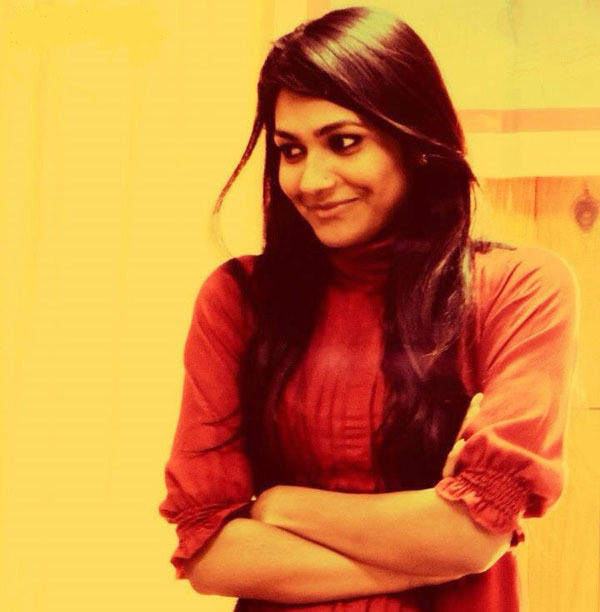 Ambitious, passionate and ‘crazy’ as she calls herself, Fiza Farhan’s journey was never a piece of cake, for she often found herself being cajoled into following the same oft-trodden path. But she resisted and put in enormous effort to do things the way she wanted to, something she wants all her followers to undertake. The world is saluting her for that now. Sometime last year, Bloomberg Business ran a story titled ‘Pakistan’s Most Amazing Money Manager Gets No Respect’ about Maheen Rehman, CEO of Alfalah GHP Investment Management. While the headline might have been quite over the top, it brought Maheen Rehman the long overdue attention she deserved. The youngest, and the only female CEO among 22 investment management companies in Pakistan, Maheen Rehman is a force to reckon with. With her Midas touch, they often say it’s impossible to find a more successful money manager in Pakistan, owing to her a stellar record of turning the tides for companies for which things weren’t going pink, by virtue of her acumen and skill. Being a wife and mother, juggling between personal and professional life is often tedious for Maheen Rahman, but she manages to succeed. She was also featured in Fortune Magazine’s ‘40 under 40’s’ where she held the envious fifth position. Belonging to the picturesque district of Ghizer in Gilgit-Baltistan, Ifrah Wali is our national skiing champion. She also represented Pakistan internationally and won gold at the first South Asian Winter Games in Dehradun, India in 2011. What’s interesting to note is that throughout the competition, next to this Alpine skier was her sister, Amina Wali. 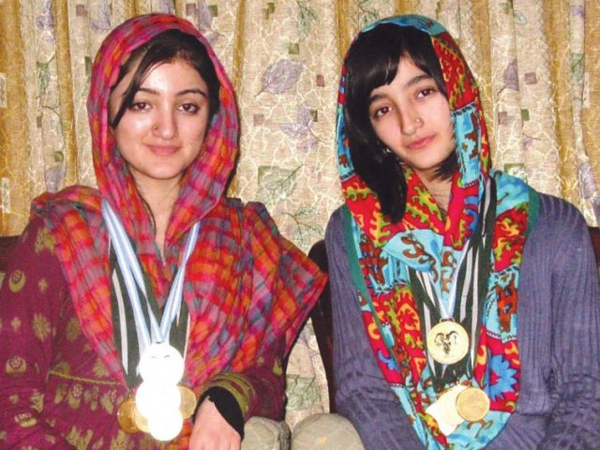 Both the Wali sisters have an array of medals in various skiing competitions held at Naltar and Malam Jabba. The competition, as they describe, is always fierce between them as it was the question of impressing their father, whose consistent support and coaching has been the most potent contribution in the girls’ success story. Next on their plate is participating in the Winter Olympics, and we’ll make sure to follow them through that. A recipient of Pakistan’s Sitara e-Imtiaz, the Presidential Award, the European Societies Population Science Award, and the First Global Innovation Award by the Rockefeller Foundation, Dr Sania Nishtar is one iron lady who packs so many feathers on her cap that it’s impossible to cover the length of her achievements in limited space. Holding the FRCP and PhD from King’s College, Sania Nishtar is the founder of the health think-tank Heartfile, as well as Heartfelt Health Financing. Also leading the Health Committee of Aman Ki Asha, she is the author of Choked Pipe: Reforming Pakistan’s Mixed Health System, a book which is said to serve as the blue print of Pakistan’s health policy. Besides this, she’s a regular contributor to a number of reputed publications and her scientific papers form a hefty chapter of their own. 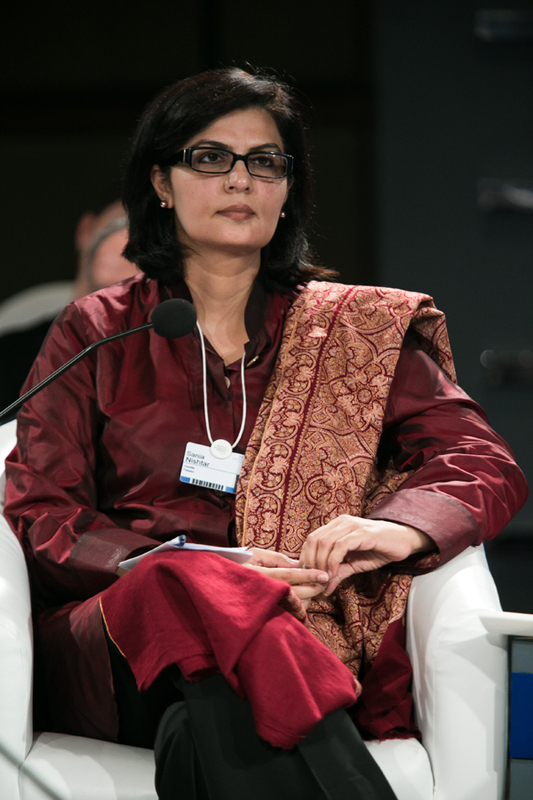 Serving as Minister for Science and Technology, Education and Trainings, and Information Technology and Telecom in the caretaker government of 2013, Sania Nishtar was not only instrumental in bringing about effective change in these sectors, but also presented herself for accountability at the end of her tenure, a feat unmatched much like many of her achievements. 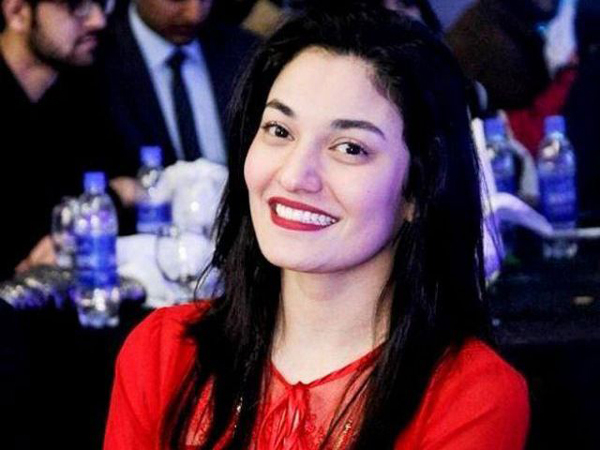 Probably all Pakistanis know who Muniba Mazari is, but owing to the curiosity of some of my Indian friends and the insistence of others, this list would not be complete without including her. Facing a terrible accident that rendered her paraplegic at the age of 21, Mazari has only scaled heights since then. 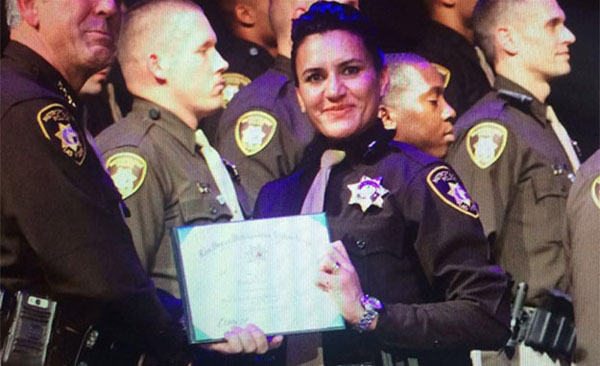 Hailing from a village in Abbottabad district, Fatima Zahoor Abbasi recently made news by becoming the first ever Pakistani Muslim lady to join the Las Vegas Police Department. Fatima Zahoor Abbasi, who shifted to US about 14 years ago, has had no prior training in this capacity. When she came to know the department is hiring, she jumped at the opportunity, only to be surprised by the exceedingly exceptional marks she scored in her tests. Upon completion of the course, dealing with a hectic routine and being the only 40- year-old in a group of late 20s, she was awarded a gold medal. And it’s not just the professional arena she is making Pakistan proud. She’s also eager to project Pakistan in a positive light to her course mates. Despite being a prodigy in one of the toughest police academy in the US, Fatima Zahoor Abbasi sure hasn’t gotten wary of treating all her friends to a night of desi cuisine overdose. 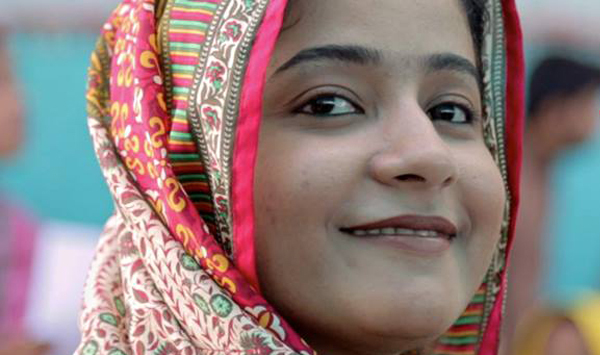 The story of Humaira Bachal is one of outstanding determination and incredulous courage. Belonging to an impoverished community from a downtrodden neighbourhood, she has been defying odds relentlessly. She was forced to give up education after primary schooling but then she continued in secrecy from her father. She has done her best to extend the availability of learning to others. Witness to domestic violence that wrecked her house when her father came to know of her studies, Humaira Bachal then started teaching others; all in the face of immense resistance from the community elders. But as fortune favours the brave, what started as a street school is now the Dream Foundation Trust which now provides education to over 1200 kids. Humaira Bachal is running the foundation with her sister Tahira, who is the principal of the institute. Starting her journey at the tender age of 13, Humaira Bachal now deserves international acclaim with Madonna providing funds for the foundation and Sharmeen Obaid Chinoy having filmed the foundation’s struggle. And it’s definitely not stopping the Bachal sisters, for what they want next is a university. 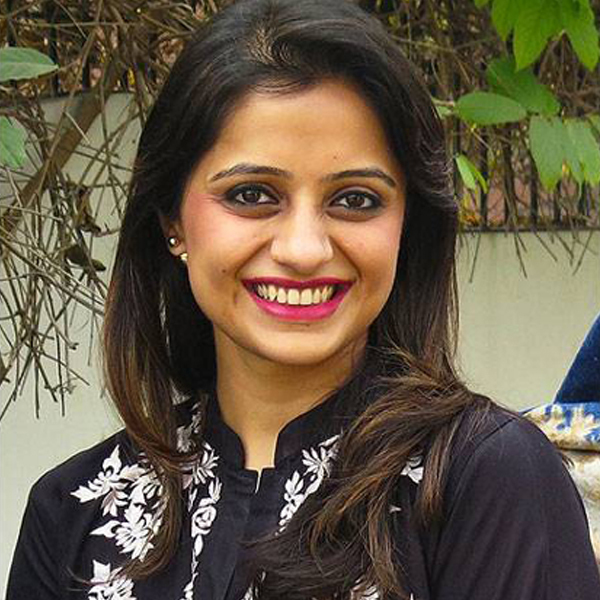 Fatima Lodhi, founder of ‘Dark is Divine’, is Pakistan’s only and Asia’s youngest anti-colourism campaigner. A champion for darker complexion and all forms of appearances that don’t fit well with the ignoble standards set by society, Fatima Lodhi has been a recipient of various awards for her work and has launched her campaign internationally. But she took this in her stride and is now adamant on challenging the standards of ‘beauty’. We often tend to ignore our heroes unless they’ve had a stamp of international recognition. Such is the story of Syeda Ghulam Fatima, who claimed the limelight only after being featured in ‘Humans of New York’ Pakistan series. 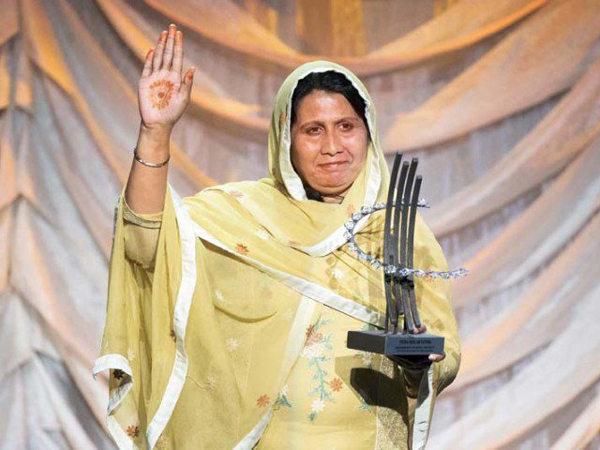 Syeda Ghulam Fatima, a social activist and the General Secretary of Bonded Labour Liberation Front Pakistan (which she runs with her husband), has succeeded in rescuing more than 80,000 labourers bonded in brick kilns in Pakistan. Humans of New York, which then ran a social campaign inciting huge funds for Syeda Ghulam Fatima’s page, calls her a modern day Harriet Tubman in its original post, and continues with “she has been shot, electrocuted, and beaten numerous times for her activism”. In 2015, Syeda Fatima Ghulam received a Global Citizen Award in New York for leadership in civil society. 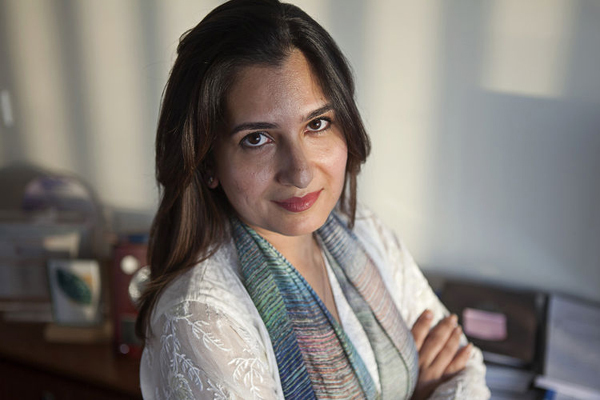 An alumnus of University of Pennsylvania and Yale University, Roshaneh Zafar is another name to look up to when it comes to Pakistani women. Roshaneh Zafar, who had been associated with the World Bank in Islamabad for some years, founded the Kashf Foundation in 1996. Also serving as the director of Kashf Microfinance Bank Limited, her organisation reached out to the impoverished segments of society and helps women set up small businesses. 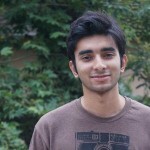 A popular Hum TV serial by the name of ‘Rehaai’ has also been made on this – mapping the foundation in the average Pakistani’s knowledge. To date, the foundation has helped many women become self-sufficient and devise better future for themselves. A recipient of the Tamgha-e-Imtiaz, Roshaneh Zafar was also awarded the Skoll Award for Social Entrepreneurship in 2007. Can Baaghi aptly and fairly portray the layered, complicated and uncovered truths of Qandeel Baloch’s life and death? Coke Studio 10: A season of tributes that is too star-studded to be true? Congratulations to all the women on this list for all their accomplishments. Truly, they are in a league of their own. A league of extra ordinary women.